Don’t spend valuable financial and physical resources into organising and dealing with your property removal as this will likely end up being an inefficient and over expensive way to move your home or office from A to B. Instead, you can let Removals Twickenham arrange and conduct your property relocation with professional precision and efficiency, but without the astronomical service costs that usually come with pro-grade removal solutions. Our specialist removal teams, made up of qualified movers and experienced drivers have the necessary practical skills and technical expertise to deal effectively with all stages of any type of removal project, including domestic removals, office removals, business removals, junk and rubbish removals, piano and furniture removals etc. The removal teams will also deal with packing of your belongings as they know how to do this right. Our packing service is reasonably priced and does provide for extra protection and much needed peace of mind. Alternatively, customers can do their packing, in which case we will deliver the necessary packing materials without excess cost. In order to be efficient and flexible with our transportation, we own and maintain a fleet of specially equipped removal vehicles of different size, wheelbase and payload capacity. 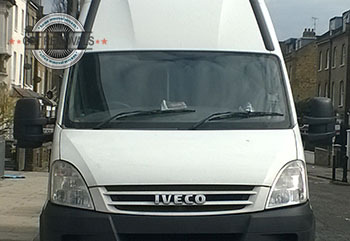 Our vehicles range from compact and nimble city transports, to large intercity removal vans. All vehicles are specially equipped for professional removal services. 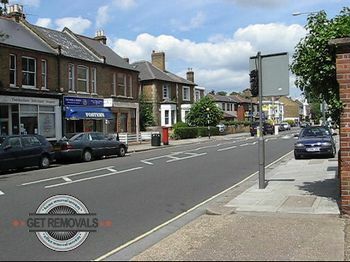 When offering options for removal in Twickenham, we are looking to provide private and business customers with genuinely good removal services that are actually worth it. In light of this, we provide customers with individually prepared, free service quotes without any hidden fees, also flexible pricing that corresponds to the specs of the job, furthermore excellent midweek discounts on all removals. On the same note, our customers will also receive punctual and helpful customer support available twenty-four hours a day, seven days a week; spot-on removal advisory and full liability insurance coverage; wide coverage on all deliveries and collections; specialised removal coordination through our dedicated call centre. Since customers will have nothing to worry about concerning the relocation, this means a chance to explore and get to know Twickenham. The area although not part of the London Plan, is given the same important status as the other districts included in the plan. Twickenham grew from a small parish to a full flared suburb. The area experienced rapid growth and almost relentless development from the eighteen eighties to the early nineteen sixties. Having said this, Twickenham was merged into Greater London as late as nineteen sixty five. Available for visit, are three marvellous period mansions in Twickenham. Namely these are York House, Marble Hill and Strawberry Hill House. Another manor, that of eighteenth century poet Alexander Pope was unfortunately lost. There are also other notable pieces of real estate amongst the more traditional manors available for visits to the public. Twickenham is affectionately known as the home of English rugby, and it has every right to be so, as the district has long standing traditions in the sport, and houses the famous Twickenham Stadium – the biggest sole-purpose rugby stadium in the world.